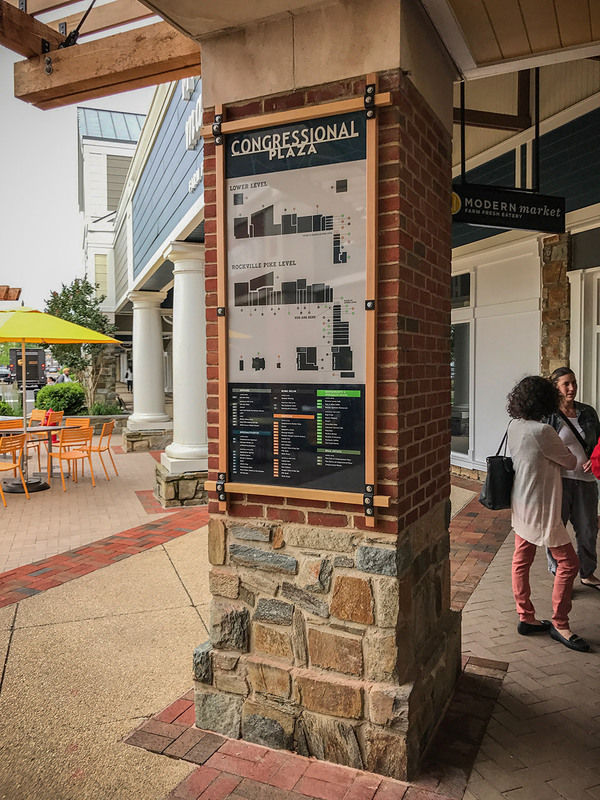 Congressional Plaza, located in Rockville Maryland, is your one-stop shopping and dining destination. 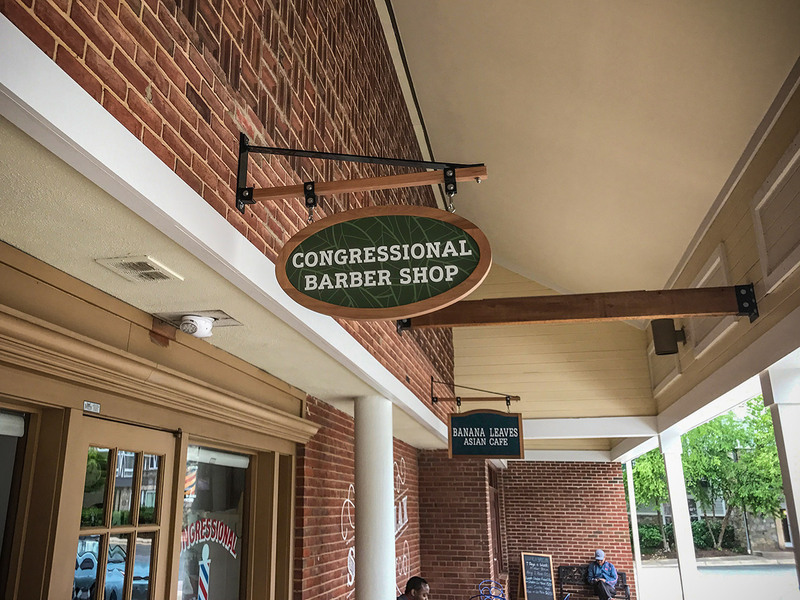 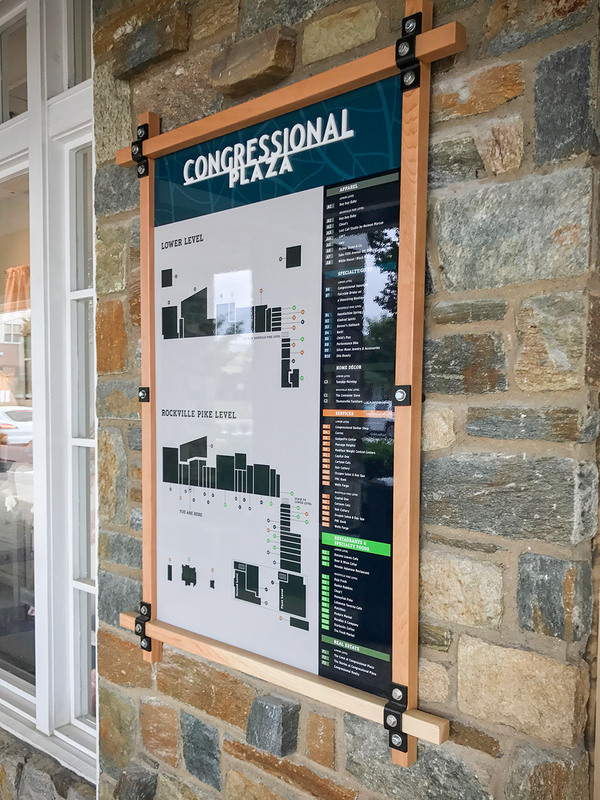 Boasting over 40 retail locations, restaurants, and specialty shops, Congressional Plaza has everything you could need for your day-to-day or something special. 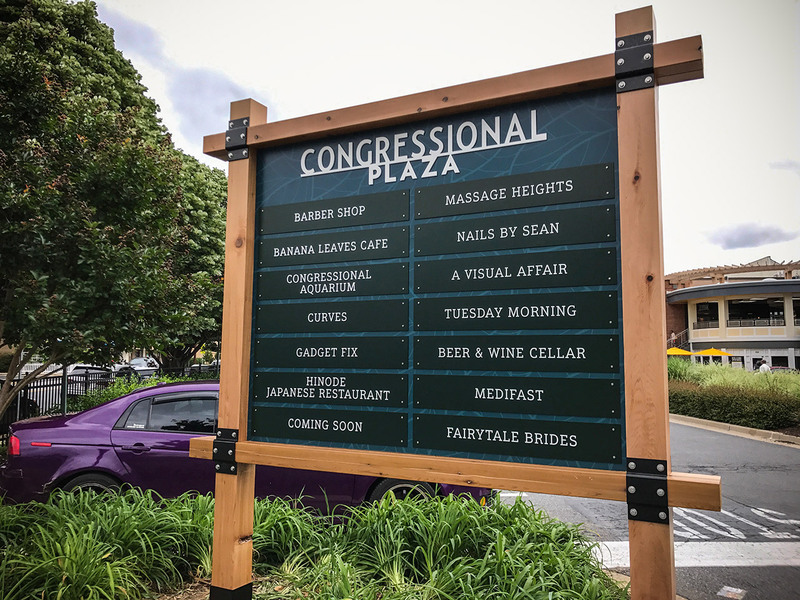 YDI designed Congressional Plaza’s new brand to be a hybrid: it draws influence from geometric, Craftsman-style architecture and typefaces of the period; however, it is modernized by simplifying the architectural elements and condensing the letterforms. 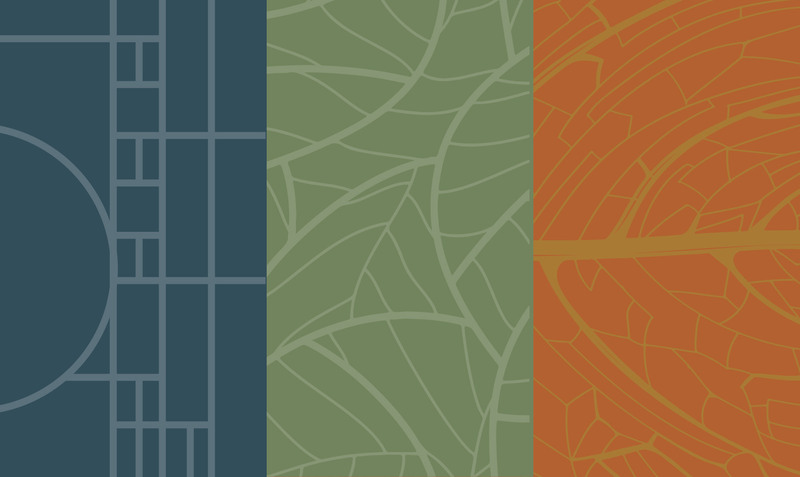 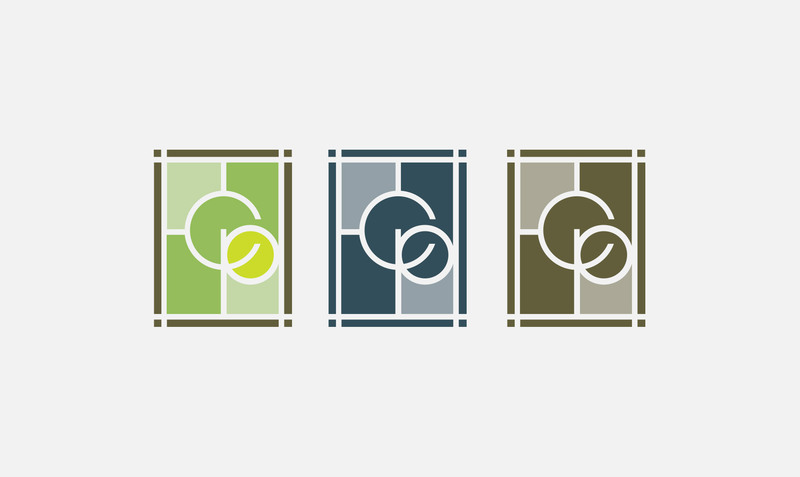 The color palette, inspired by the Maryland landscape, complements a series of patterns used as signage background details. 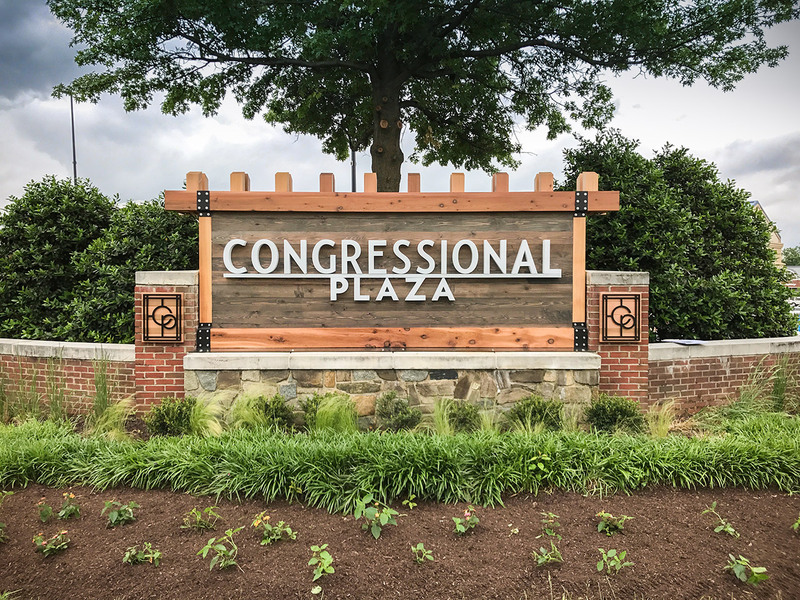 The environmental design for Congressional Plaza needed a facelift. 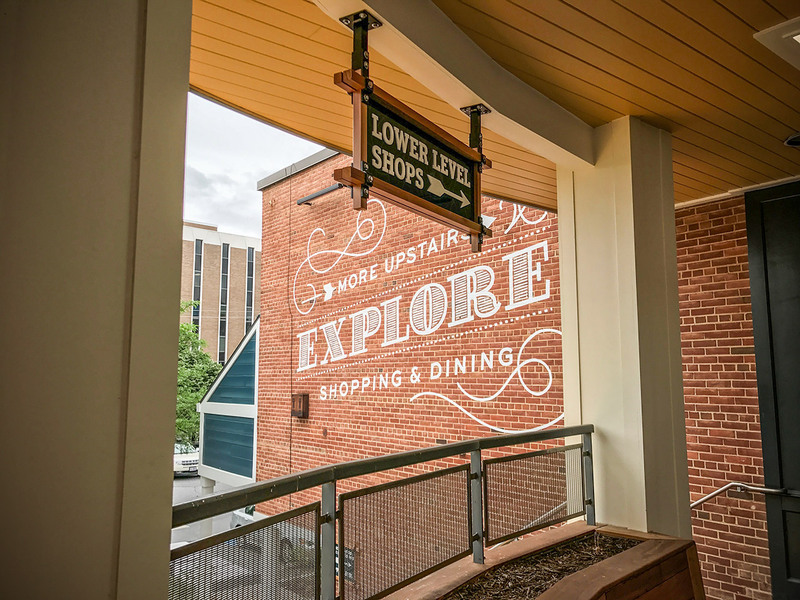 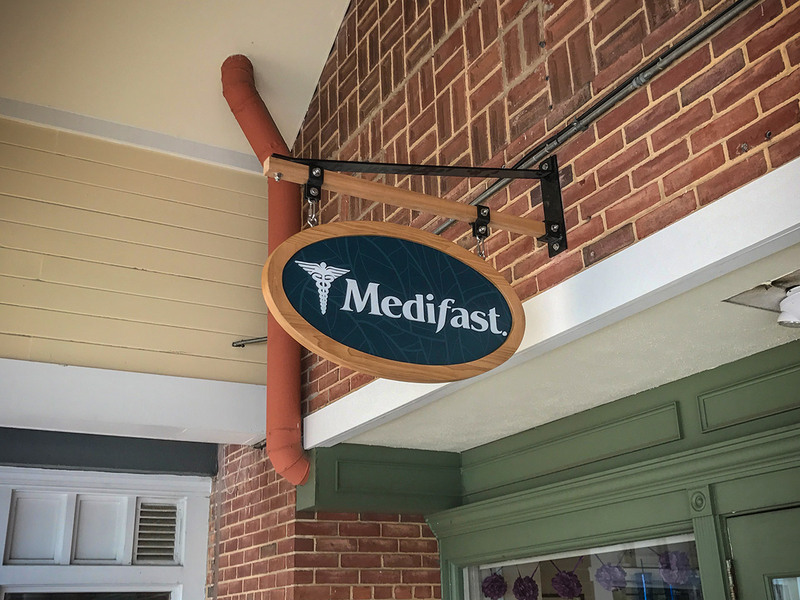 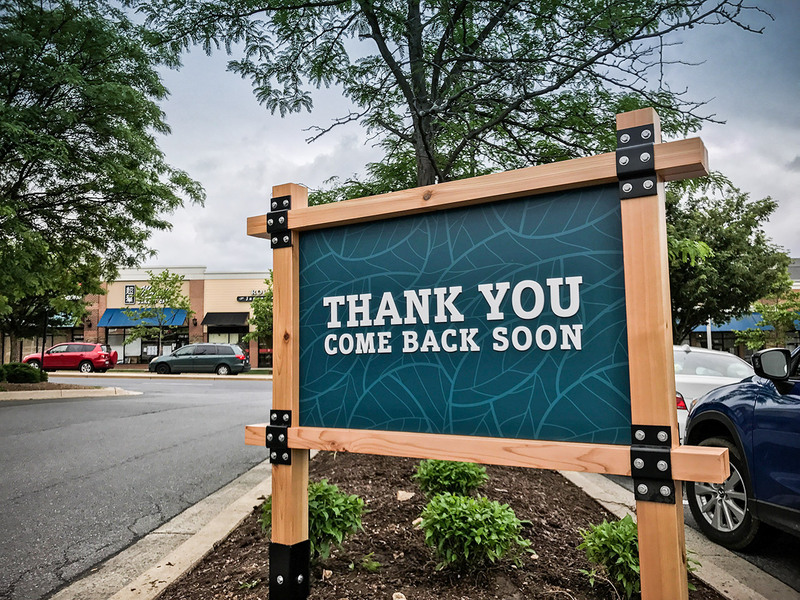 Signage criteria was implemented to keep all the tenants consistent, and natural materials such as stone and wood were used to bring together the rustic and modern aspects of the project. 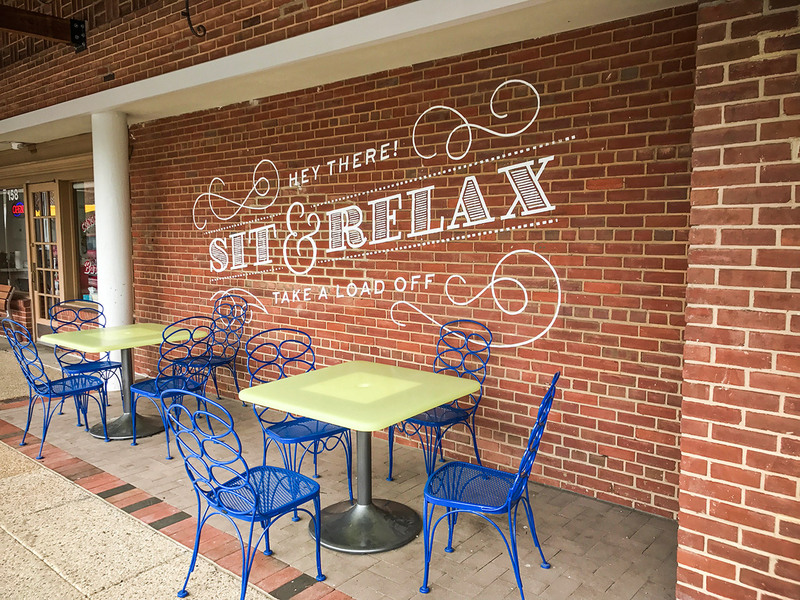 Additionally, hand-painted graphics were added in places around the project to give the space a playful aspect.